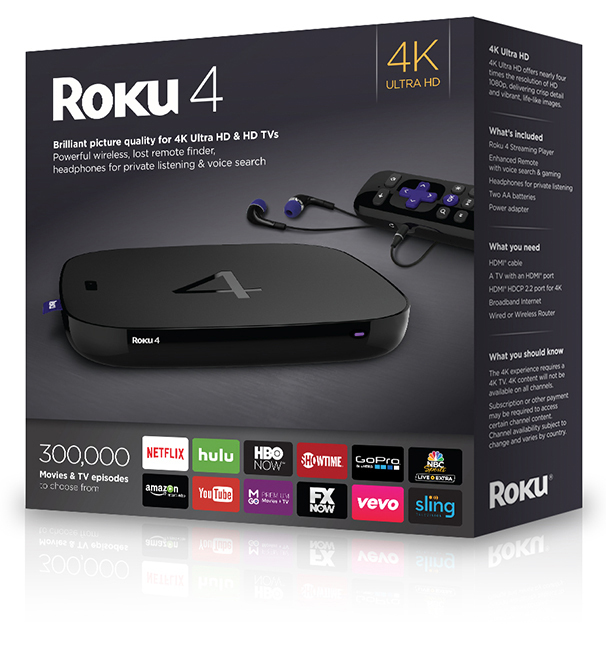 As some noticed when Roku this week announced its upgraded 4K-ready streaming media player, the Roku 4, the product packaging featured a highly-anticipated addition to Roku’s channel lineup: HBO NOW. The premium network’s over-the-top offering has been one glaring omission from an otherwise robust lineup of programming options on Roku’s platform, which today includes more than 3,000 apps and channels. But it seems Roku owners will no longer have to wait – the channel is launching today on Roku. The channel, which requires the $14.99/month subscription service, allows viewers to watch all of HBO’s content, including original series, past and present, like “Game of Thrones,” as well as movies, sports events, documentaries, specials, and more. Roku users will be able to try the service for free for 30 days, then purchase their subscription via their Roku device. That subscription will also allow them to access HBONOW on other supported platforms, including web, mobile, tablet and more. There was a bit of concern in the past about when Roku would gain access to this channel. A few tipsters had pointed out previously that Roku wasn’t even listed on the HBO NOW website as one of the platforms the company was planning to support “coming soon.” In the meantime, the HBO NOW app went live on a number of other devices and platforms following the expiration of its Apple exclusive, including Amazon’s Fire tablets, Google Play, Chromecast, the Fire TV and Fire TV Stick, and most recently Android TV. But fears were finally quelled this week when the Roku 4 box proudly sported the HBO NOW logo. The HBO NOW offering is only one way the premium network is working to compete more broadly with streaming services like Netflix, Amazon and Hulu. In addition to reaching the growing number of U.S.-based cord cutters and so-called “cord nevers” (those who forgo pay TV subscriptions entirely), HBO is trying to reach a similar broadband-only audience elsewhere in the world, too. Related to this, alongside news of its Roku release, HBO’s Latin America arm also announced plans to make content from the HBO/Max premium channels available to broadband-only subscribers for the first time through a new HBO GO digital service that launches this year in Columbia. Unlike the over-the-top offering in the U.S., this international effort will operate under the HBO GO brand instead of the HBO NOW brand. As an online subscription service, broadband-only customers in the region will be able to access HBO GO through distributors throughout all of Spanish-speaking Latin America, Brazil, and the Caribbean in the months ahead.